Barcelona dented Tottenham's Champions League hopes as they triumphed 4-2 in a pulsating Wembley encounter that was lit up by Lionel Messi on Wednesday. 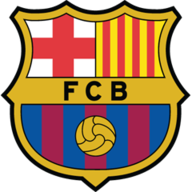 The Argentine scored twice, played a major role in Barca's other goals and hit the post twice as Tottenham slipped to back-to-back defeats in Group B.
Philippe Coutinho set the tempo for a breathtaking spectacle by scoring after 95 seconds, following some horrendous decision making by the returning Hugo Lloris, before Ivan Rakitic doubled the lead with a spectacular half-volley (28). Messi should have wrapped the game up but hit the same post twice in three minutes and this opened the door for Harry Kane (52) to hit back for Spurs. Messi quickly restored the two-goal lead (56) but Erik Lamela (66) set up a grandstand finish that almost led to an equaliser, but Messi had the last laugh in the 90th minute, wrapping up the points with his fifth Champions League goal of this campaign already. Barcelona scared the life out of the Spurs midfield from the first whistle. Victor Wanyama and Harry Winks were hounded out of possession and Messi provided the magic. He bent a clever ball in behind Kieran Trippier for Jordi Alba that triggered Lloris to recklessly scamper from his line despite having no chance of getting there first. The goalkeeper's error opened the space up for Alba to slide the ball to Coutinho, who fired home from 18 yards into an unguarded net. Yet more nervy midfield play paved the way for Barca to rip through Spurs again on 25 minutes. Messi was the instigator, curling a ball over the top that Coutinho just about kept in play. His flick found Rakitic and the midfielder controlled a sensational half-volley into the net from 20 yards that left the hosts with a mountain to climb. Luis Suarez fired wide from a tight angle minutes later before Spurs, who did look dangerous when in Barcelona's third, had a Heung-Min Son goal ruled out after a Trippier handball was spotted in the build-up. Spurs made five changes from the win over Huddersfield, some enforced, some tactical. Hugo Lloris returned, but Jan Vertonghen, Mousa Dembele and Christian Eriksen were all ruled out, which meant Ben Davies, Victor Wanyama and Harry Winks came in. Messi took up a more central role after the break, feasting on the space afforded to him by Wanyama. His sensational control and dribbling ability created two wonderful chances for himself - amazingly, both ended with him hitting the base of the left post. Spurs were holding on but got a lifeline when Kane made space for himself down the left edge of the box and curled a clinical strike into the far corner. But Messi burst the bubble on 56 minutes. Alba got free down the left wing and cut a ball across goal which was beautifully dummied by Suarez and Messi swept home into the same bottom corner he had been aiming for minutes earlier. Spurs - led by Kane's constant pressing in attack - kept pushing on despite the threat of Suarez and Messi on the counter-attack. After surviving a few scares, it was the hosts that got the next goal. Kane did the donkey work down the right and fed Lamela, whose effort deflected off Clement Lenglet, wrong-footed Marc-Andre ter Stegen and looped miraculously into the net. Spurs came on strong but Lucas Moura and Kane were denied by some last-ditch Barca defending. Wembley sensed a dramatic leveller but Messi had the final say, scoring from close range after Suarez had picked him out. The maestro put on a majestic showing, full of flair, power and grace. Even the Tottenham fans were applauding him at times. Every attack Barcelona conjured up was instigated by Messi - he finished two of them himself and if we're being slightly critical, he should have at least bagged himself a hat-trick after becoming very fond of the Wembley post. We'll forgive him. Quite simply, he's from another planet. Barcelona have won nine of their last 11 Champions League matches against English clubs (D1 L1), with this their first win in England since February 2016 against Arsenal (2-0). Coutinho was involved in as many goals in his opening 28 minutes against Spurs for Barcelona (1 goal, 1 assist) as he was in his 715 minutes for Liverpool against them (2 goals). Lamela's strike was the 8000th scored in Champions League history. 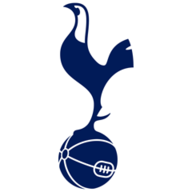 Tottenham are back at Wembley in the Premier League on Saturday for a 3pm kick-off against Neil Warnock's Cardiff City.